When it comes to durability and a functional design, being just "good enough" isn't acceptable in the UTV world. Because you expect your machine to get you through some intense and tough terrains, shouldn't your gear be just as tough? It doesn't matter if it's a brewsky or bottle of water, when your ready for a "cold one" you expect it to be just that. 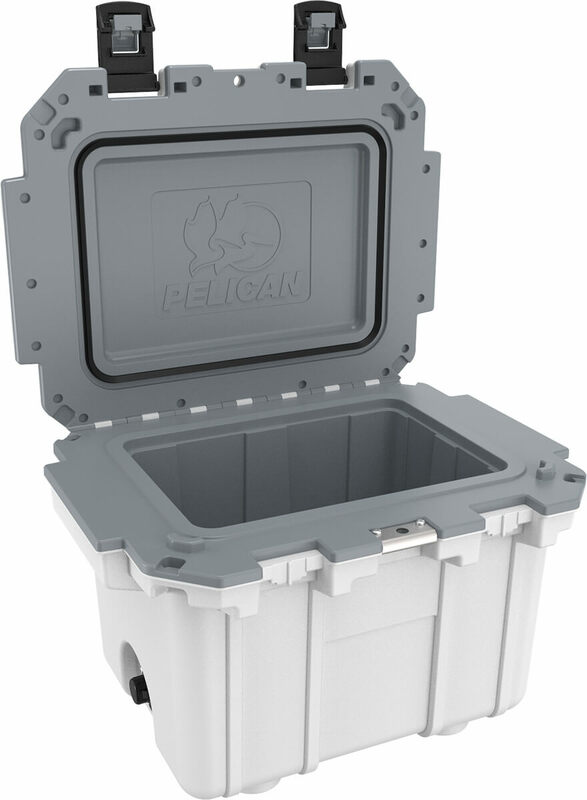 Be prepared for those hot summer days with this Pelican 30 Quart Injection-Molded Elite Cooler and keep your thirst quenchers cold. 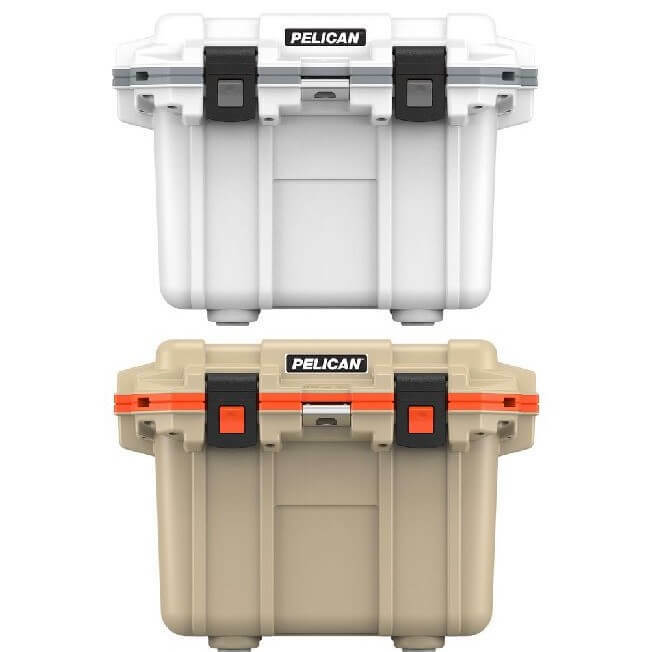 This Pelican 30 Quart Injection-Molded Elite Cooler has a freezer-grade seal that will keep your drinks cold and ice from melting as quickly as those everyday coolers. 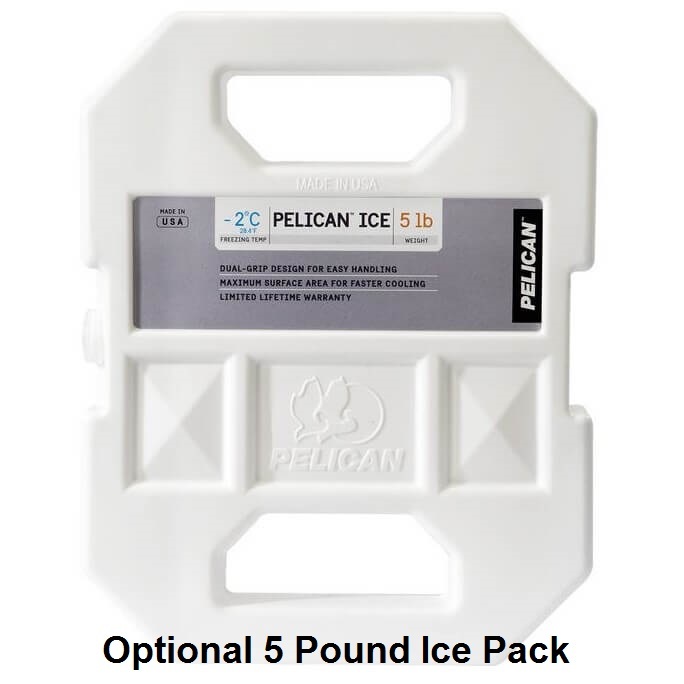 There is no need to lift and dump or prop up one end of this portable ice box to drain. The inside floor is sloped so once you open the plug gravity does the rest. 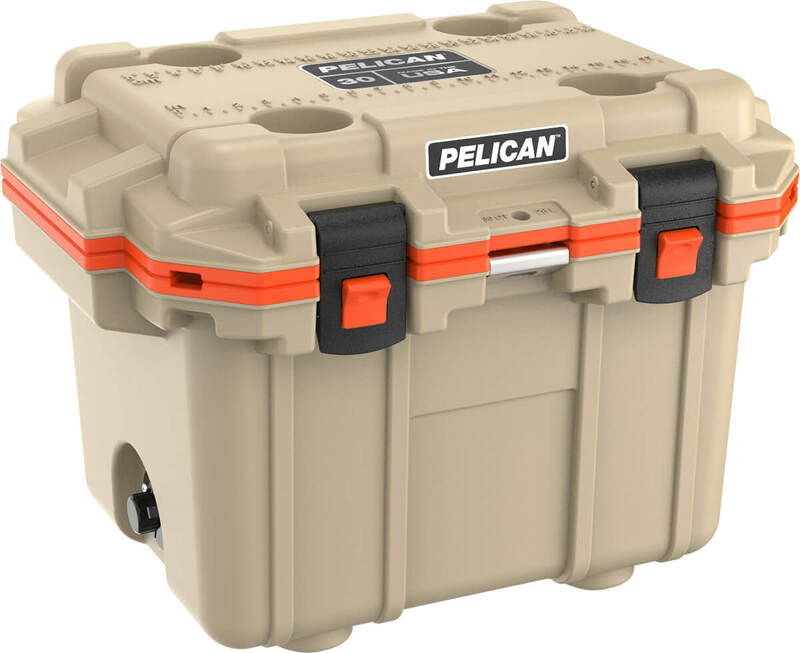 The top has four pre-molded cup holders and the molded-in lock hasp secures your contents and also serves as a bottle opener. 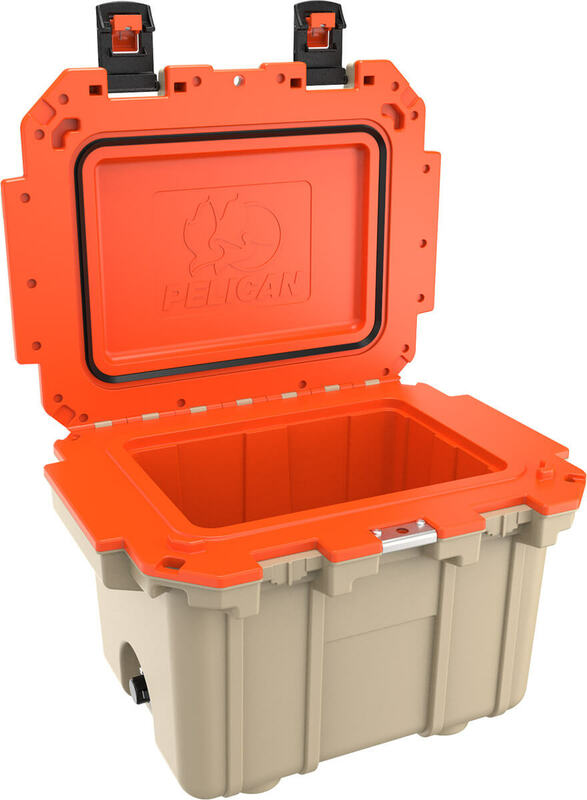 This cooler has a molded-in handle system with ergonomic styling to make lifting and moving the cooler easier and more comfortable. 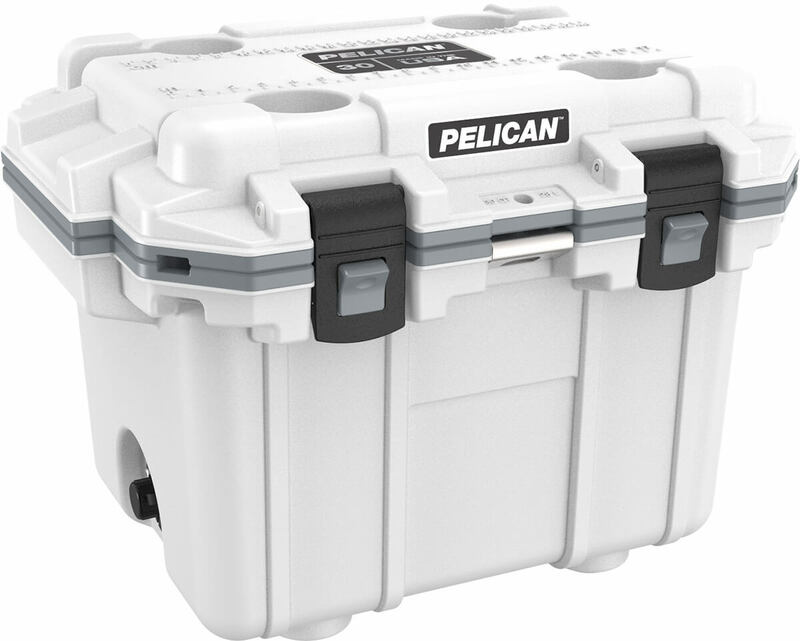 Wherever your next adventure takes you, with this cooler you can be sure every drink you reach for will be a cold one. Interior (l x w x h) 14.60" x 10.20" x 11.00"
Exterior (l x w x h) 25.30" x 19.00" x 18.50"
Dimensions: (l x w x h) 8.60" x 2" x 11"